Imagine for a moment that you are a hitman for mother nature. It is your job to find and kill any animal she requests. Obviously some contracts are going to be easier than others. Taking the life of a grizzly bear or a great white is going to be a bit more challenging than ending a lamb or grasshopper. However, even sharks and grizzly bears are easy targets compared to nature’s toughest creature. Freeze a shark solid in a block of ice and boil a grizzly bear and your job is pretty well taken care of, but do the same to a tradigrade and you’re in for a long and frustrating wait. 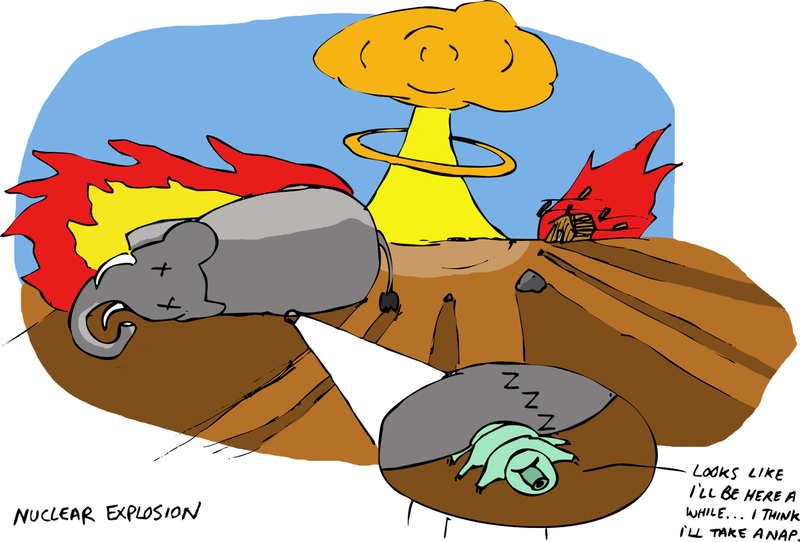 You may not have ever heard of tardigrades, but they are everywhere you have ever been. There are billions and billions of them in every environment on earth. In fact there is a stout branch on the tree of life that contains nothing but the 1000+ species of these little guys. A tardigrade isn’t a bacteria or any other kind of those not-quite animals you hear about being everywhere either, they are honest to goodness animals that you can see with the naked eye… in the right light. Tardigrades, also known as water bears for their resemblance to very tiny pandas, are on average about 1 millimeter long. That is about the size of the period at the end of this sentence. They are mostly transparent and have eight stubby legs, each ending in an alien/bear/eagle like claw. They spend their days sucking water off of moss and feasting on algae with their spear-like mouths. However, unlike most animals that live in the land of the very small, tardigrades are actually kind of cute in a monstrous sort of way. 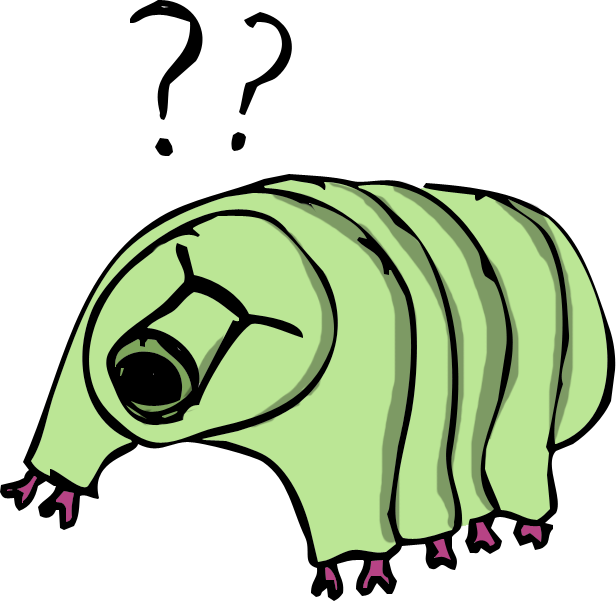 They get their name from the Italian word tardigrada meaning “slow walker” because unlike most tiny animals that dart around like Carrot Top on PCP, tardigrades lumber around slowly and pretty clumsily, doing their tardigrade thing. Tardigrades are a scientists best friend because they are small and breed quickly. An individual contains about 1000 cells and has a lifespan of around one year… Unless of course you subject them to the cruelest kinds of punishment imaginable, then they will live WAY longer. Indeed, a tarigrade is a very peculiar thing. Leave it alone and it will lead a pretty uninteresting life, but if you freeze them, dry them out, cook them, or expose them to radiation you had better be prepared to have your mind blown. Tardigrades can withstand temperatures from 1 Kelvin (-458 F/-272 C) to 148 C (300 F). They can survive pressures 6 times greater than the deepest point of the ocean and brush off a dose of radiation 1000 times greater than what would kill an elephant. When a tardigrade is thrown into one of these woefully undesireable situations it pulls off an amazing trick. It can dehydrate it’s body by 97%, converting water into a sugar called trehalose which prevents cells from rupturing when they freeze or heat up. When they do this, tardigrades go into a sort of hibernation, almost entirely shutting down their metabolisms. When conditions improve, they simply rehydrate and go back to the business of moss sucking. 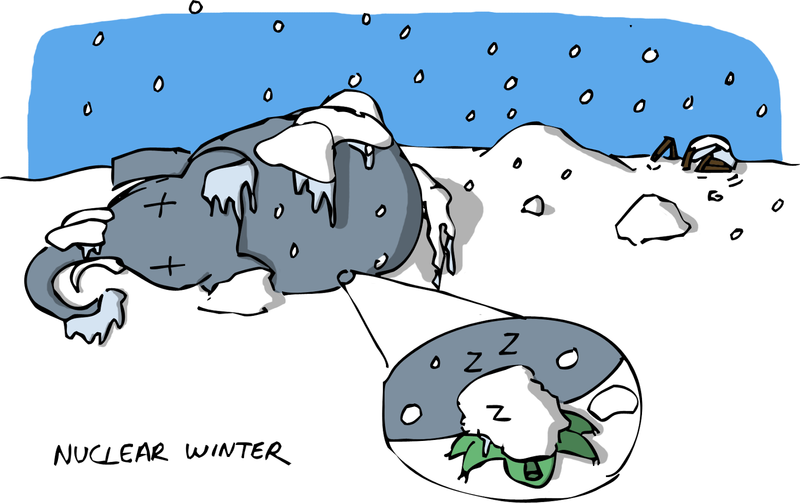 A tardigrade can survive in its hibernating state for at least ten years but possibly for more than a century. As if all of this wasn’t enough to bestow them with the honour of nature’s most indestructible creature, tardigrades are the only animals we know of that have survived the vacuum of space. In 2007 NASA sent a team of tardigrades along with a few astronauts up into orbit. They opened the airlock and set the tardigrades floating in space for ten days where they were exposed to extreme cold, extreme heat, and intense radiation. Apparently the tardigrades just treated this as a vacation because when they were brought back to earth they woke themselves up from an extended nap and just went on living. A few even reproduced. This is all pretty amazing but why does it matter? 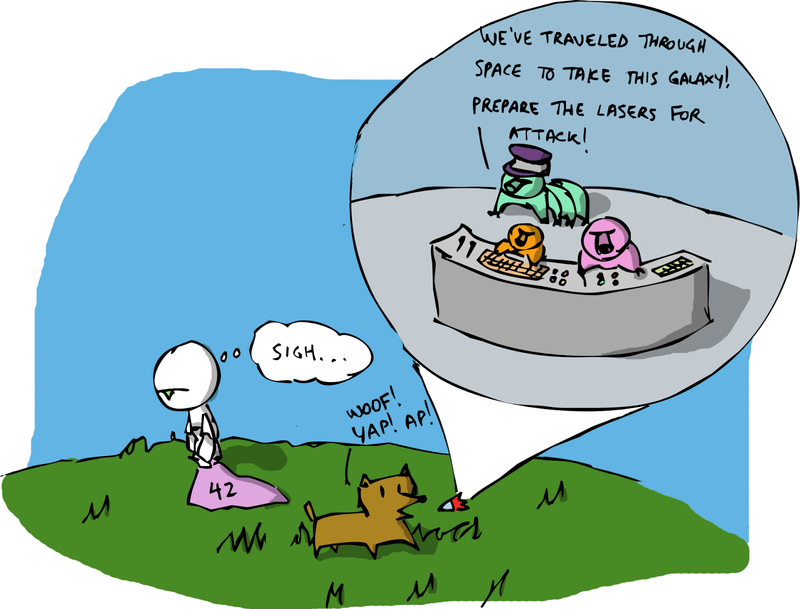 We can get jealous of tardigrades until the cows come home but it doesn’t help us much, does it? Actually, tardigrades provide good evidence for a long held idea in science called panspermia which is meant to explain where life on earth came from. It is thought that life may have started elsewhere in the universe and been spread by collisions with meteors. When a meteor hits a planet it sends pieces of that planet rocketing into space and drifting through the void. 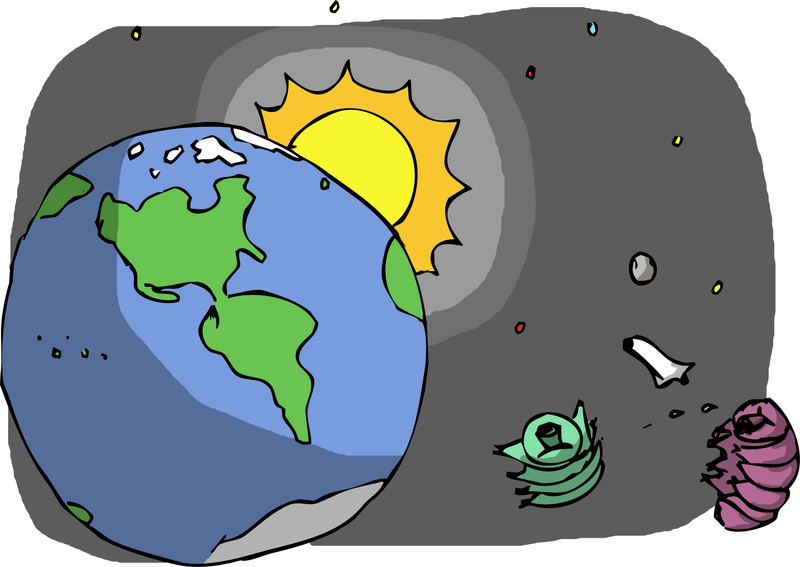 If creatures like tardigrades are tough enough to survive such a trip and land on another planet, life might be a pretty common feature of the universe. Tardigrades themselves might even be an alien life form. That is real gift that tardigrades give us. Through their survival of nearly everything, including all 5 mass extinction events so far on earth, through their uncountable numbers on earth, and through their ability to travel in space tardigrades provide strong evidence that we aren’t alone in the universe… And if you’re reading this in a mossy forest alcove you’re really not alone. Sketchy Fact #63: We don't need roads.